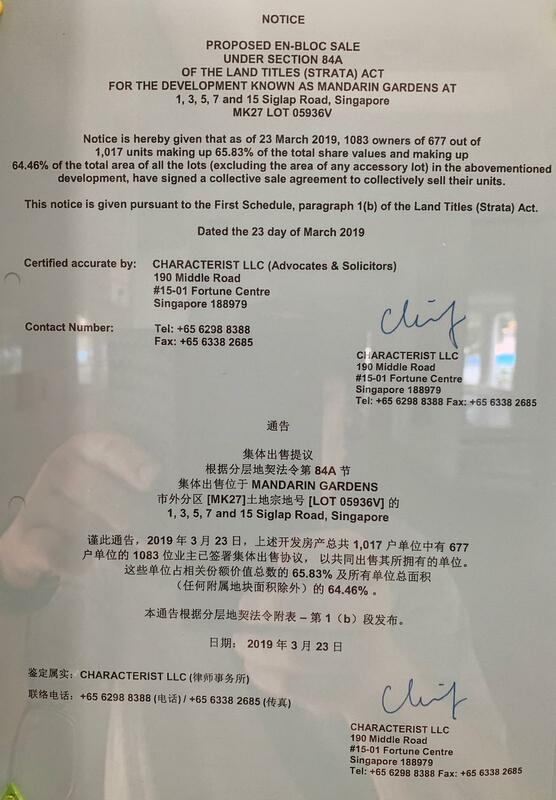 The Mandarin Gardens en bloc attempt is officially over. The required 80% was not achieved within the prescribed time frame, so the tenure of the Collective Sale Committee (CSC) expired on 24 March 2019. As per the lawyers' official notice dated 23 March 2019, the level of consent to the collective sale was 64.46% in the final tally. However, the CSC Chairman's Final Message on 24 March 2019 (the day of its expiry) cited the figure 68.34% - a figure which includes partially signed units. Legally, only fully signed units are counted in when computing the percentage required by law. Partially signed units have no legal relevance. In the Final Message, the CSC also thanked "all the approximately 70% SPs who voted for the collective sale". As only 64.46% was achieved, there is no "approximately 70%" support to speak of. The figure cited in the Final Message appears to have been picked up by Straits Times. 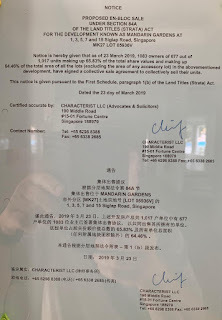 Their article on Mandarin Gardens' failed enbloc attempt published on 26 March 2019, gives the wrong impression that the CSC achieved 68% consent. For the record, the percentage achieved at the end of the day was 64.46%. And that is the true and legally relevant figure to remember and take note of. THE PEOPLE’S VOICE OR THE PAP’S VOICE? The troubling spectre of elderly Singaporeans doing menial jobs like cleaning toilets, pushing rubbish carts, collecting cardboards and wiping tables at hawker centres, has become all too common these days and doubtless weighs heavy on the minds and conscience of many Singaporeans. Voicing questions which I believe many of us have, a concerned resident took the mic at a South-East Community Development Council (CDC) conference on 2 Aug 2018  to ask whether elderly Singaporeans were being forced to work at manual jobs “just to survive” and whether the Government could provide a pension scheme to meet the basic financial needs of the elderly. He also wondered if such a pension scheme could be funded by a marginal cut on the defence budget or by cutting Ministerial salaries by 10%. As the resident from Braddell Heights, put it: “I think not many people will believe you if you say that elderly work because they want to mix, because they want to do exercise. Perhaps they work because they need to work." Member of Parliament (MP) for Mountbatten SMC. The two hats are distinct roles, which do not fit as one. The role of an MP is to be the voice of the people in Parliament. The MP’s job is to channel feedback, grievances and issues from his constituents to the government of the day. Voters expect their MPs to advocate their concerns, to champion their issues and to hold the Government accountable for their decisions and for their deployment of public funds. On the other hand, the PA’s key role is to promote, explain and defend government policies and programmes to Singaporeans. In effect, the PA is the Government’s apologist i.e. the Government’s defender and spokesperson. The Grassroots Adviser’s job is to help the PA to carry out its said role. Clearly, the MP’s role is set to clash with his concurrent job as Grassroots Adviser when it comes to unpopular Government policies. While voters expect their MPs to champion their grievances with Government policies, the PA expects their Grassroots Advisers to promote and defend those very same policies. The fact that the two hats do not fit as one, is proven by the PA’s refusal to appoint non-PAP MPs as their Grassroots Advisers. The PA has flatly refused to have non-PAP MPs as their Grassroots Advisers on the basis that non-PAP MPs cannot be expected to champion all Government policies - good and bad - in the way that PAP MPs can be relied on to do so. The Braddell Heights resident raised a very valid concern, but the occasion on which he raised his concern was at a Southeast CDC Conference. CDCs are part of the PA. I do not blame the Braddell Heights resident if he was confused. He saw his MPs before him and he must have thought that as his MPs they would listen, carry his voice to Parliament and advocate for change. Instead, the resident got a show-and-tell. 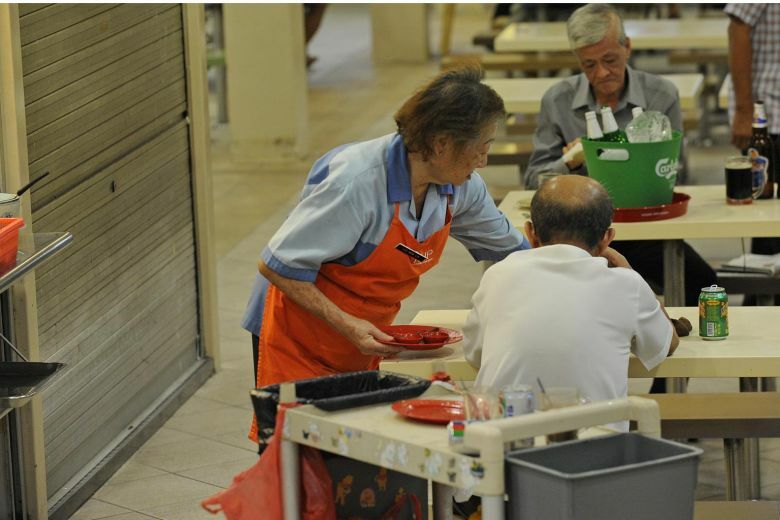 Right on the mark, Lim Biow Chuan responded to the resident by assuring him that the Government already has the Silver Support Scheme, which “does help quite a number of our seniors”; and for low-income citizens, “the Government does take quite good care of you. There are actually many, many schemes to help look after those who are poor”. “My sense is always that we shouldn’t always look to the government to solve the issues of the elderly. It is every child’s responsibility to look after their parents, because your parents looked after you when you are young. To all those who are getting elderly, I hope that you don’t think that your children should not look after you. These are their responsibilities. And this is what filial piety is all about." Of course, children have a moral duty to care for their parents. But the Government also has a social responsibility towards the elderly. Taking care of the elderly is a joint responsibility of both the young and the State. The needs of the elderly encompass medical, physical, emotional as well as financial. Indeed, very few of us can comfortably shoulder the entire burden of all those needs. It is not unreasonable to expect the State has to share a meaningful portion of the burden. After all, we pay a lot in taxes and we expect our hard-earned monies to be spent on the public. Instead of calling on the Government do to their part and to do more for the elderly, we see the MP asking his constituents NOT to look to the Government to solve the issues of the elderly. The MP was more focussed on ensuring that the individual does not shirk his personal responsibility for his parents. I would have preferred my MP to be more bent on ensuring that our Government does not evade their responsibility towards our elderly citizens. What the Braddell Heights resident wanted to know, was whether the Government could alleviate the financial hardship of the elderly by a pension scheme, and whether the pension scheme could be funded by reducing Ministerial salaries. Citizens need to know that when they vote in a PAP MP, they are adding staff to the PA’s already well-staffed and well-funded Machinery, a Machinery designed to defend the Government’s decisions and to convince citizens to accept them. Having been co-opted into the PA, PAP MPs cannot fully perform their role as your voice in Parliament. They cannot challenge Government policies, ask difficult questions or hold the Government to account for how they deploy public funds, without having regard to their obligations to the PA – which is on top of their obligations to the Party Whip. 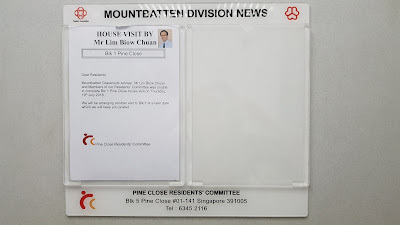 Citizens need to know that when PAP MPs go around their constituency making house visits and meeting residents, they do so in their capacity as Grassroots Advisers, not as political MPs. As Grassroots Advisers, their job is to promote, explain and defend existing Government policies. Even questionable policies - such as sky-scraper high ministerial salaries and shamefully inadequate help for the elderly poor – stand to be vigorously defended by PAP MPs working with the PA Machinery. Citizens need to know that so long as the PA continues to appoint PAP MPs as their Grassroots Advisers, and thereby co-opting them into their Machinery to bolster their role as the Government’s apologist, constituents will be denied the full measure of the advocate, activist and political leader that they had voted for. We are short-changed. Instead being the People’s Voice, our PAP MPs defect from serving our cause to become the PA’s Voice. Bearing in mind that the PA are servants of the PAP Government, the PAP MPs end up as the PAP’s Voice. Cloaked by the pretext of promoting social cohesion, the PA has the effect of distorting our democratic system to the advantage of the ruling party. Yet, curiously, Mr Lee did not go on to clarify what is "the position" which the June 10 article stated inaccurately nor explain in what way the June 10 article stated "the position" inaccurately. Instead, Mr Lee went on to detail the efforts of The Singapore Corporation of Rehabilitative Enterprises (SCORE) in helping ex-offenders find jobs. What is clear is that the June 10 article is a summary of Mr Lim Biow Chuan’s arguments justifying job curbs on ex-offenders, especially for a security officer's job. The June 10 article highlighted several aspects of Mr Lim’s arguments, such as Mr Lim noting that while it was easy to say that the police should give ex-offenders a second chance, the reality is that "most of us would err on the side of caution". "...we would not want a convicted child molester to teach swimming to young children; we would also not want a person convicted of dishonesty to be involved in finances or accounts of a company ... Along the same principles, we would not want a person convicted of assault to be employed as a security officer protecting the residents." Mr Lim’s comments expressed a tough stance against ex-offenders in the interest of public protection. Whose views is he representing- MHA, the general public or perhaps his own? The concerns about hiring ex-offenders expressed by Mr Lim can hardly be helpful to SCORE, a MHA agency. In fact, such negative attitudes about ex-offenders must surely undermine and hinder the efforts being made by SCORE to help ex-offenders find jobs. Which may perhaps be why MHA has stepped into the public square with Mr Lee’s letter. So, I don’t think that Mr Lim is representing MHA’s views. Mr Lim’s remarks generated some controversy and many detractors have voiced their disagreement with his views about ex-offenders. So, I have to surmise that Mr Lim’s views do not represent the general public. Hence, Mr Lim may well be representing his own views or the views of a segment of our society who are privileged to be among those who have never broken the law. It is telling that Mr Lim uses the ‘us versus them’ stance in his comments, referring to “we” on the one side and “the ex-offenders” on the other side. As much as some may want to take comfort in the description, “we are not like them”, that is ultimately a false dichotomy which belies the truth that ex-offenders are members of our society. Being so, they matter and their well-being are our collective responsibility. The trouble is, Mr Lim’s cautionary comments against employing ex-offenders appear more reflective of fears than of fact and serves more to affirm prejudice than to spur constructive public discourse. For example, Mr Lim’s rhetoric question "The concern of police would always be, what if the offender re-offends?" does not square with the fact that most ex-offenders do not re-offend. In 2016, the Singapore Prison Service (SPS) reported that overall recidivism rates have remained "low and stable". Barriers to re-integration, such as job restrictions and social stigma contribute to higher rates of re-offending. The end result is a vicious cycle and a fractured society. Imprisonment serves the fourfold purposes of punishment, deterrence, incapacitation and reformation. The mission statement of SPS states that it is a correctional agency which enforces secure custody of offenders and rehabilitate them, for a safe Singapore. It is not misplaced to have some confidence in SPS’s ability to fulfil their mission of deterrence and rehabilitation. When someone has served his time and has been released from jail, it is not unreasonable to expect that he would want to keep out of jail. 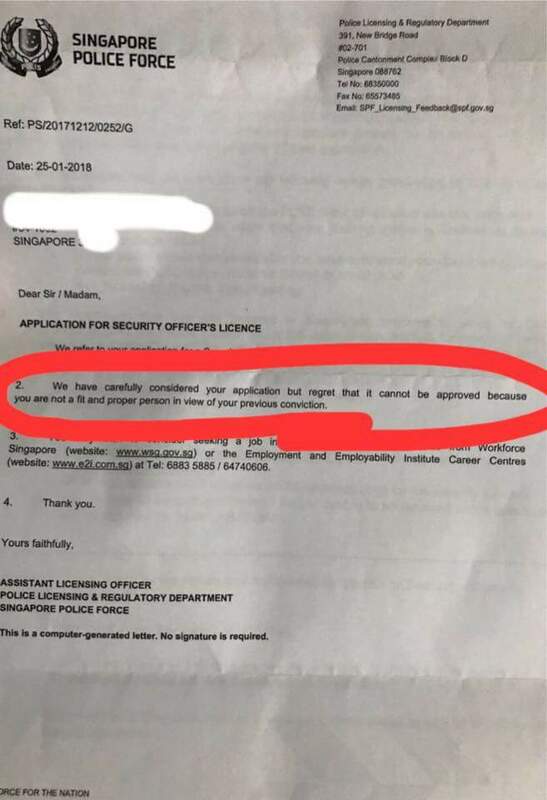 If one were to follow the line of Mr Lim’s argument as reflected in the June 10 article, one would come away with the impression that the police would not and should not allow anyone with a criminal record to ever be employed as a security officer to err on the side of caution in the interests of ensuring public safety. “… depending on the severity and relevance of the offence, a person with crime antecedents is required to remain offence-free for some time, before he can take up certain jobs, including the job of a security officer”. It is heartening that a degree of forgiveness is being shown and practised by MHA. 1. What kind of jobs would MHA seek to "protect the public" from and be deemed as being unsuitable for ex-offenders to work in? 2. What convictions would restrict ex-offenders from taking up which kind of jobs? 3. In respect of an ex-offender convicted of a certain offence, how long would he have to wait before his past conviction ceases to affect his job opportunities? Ex-offenders would greatly benefit from knowing the extent of the job restrictions applicable to them. It hoped that MHA would give ex-offenders more information on the MHA policies affecting them and more transparency in their screening processes, so that ex-offenders can manage their expectations and not be set up for disappointment when they hope, apply and fail in their job application. That said, it is encouraging that Mr Lee’s letter affirms MHA’s commitment to help ex-offenders reintegrate into society. However, the silver lining in Mr Lee’s letter is marred by a dark cloud of inexcusable indiscretion. 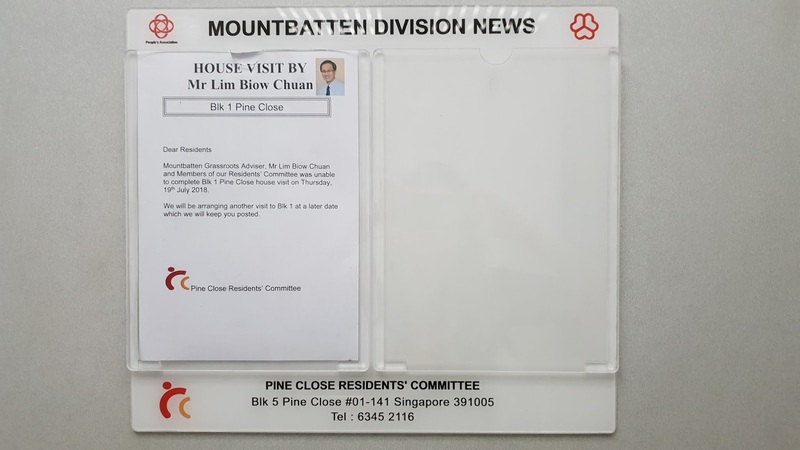 I am dismayed by Mr Lee's indiscretion in mentioning the actual name of the Potong Pasir resident in his letter, knowing full well that his letter is for public consumption. Up to now, the resident has not been identified to the public. The resident has served his prison term. He has paid his debt to society. Yet, after his release from prison, he faces difficulties like job restrictions and social prejudice. This was the predicament which Mr Jose Raymond raised to public awareness by his Facebook post of 6 June 2018 . When doing so, Jose Raymond made sure to withhold the identity of the resident to protect his privacy. Even though Mr Jose Raymond’s post went viral, the resident has remained anonymous, up to now. Ironically, an MHA Director of Communications has exposed the resident's identity to the public. Surely one would expect a communications expert, with MHA no less, to be cognisant of the adverse consequences of publicising someone’s identity, let alone someone who is already suffering the social stigma of being an ex-convict. I am also disappointed with the ST forum editor for not picking up and correcting Mr Lee's failure to anonymise the resident. I have known ST forum editors to assiduously scrub and revise letters, especially letters which express dissenting views. I hope it is not the case that the ST forum editors lapsed their usual diligence and posted Mr Lee’s letter without review, simply because the letter came from a MHA media rep. If that were the case, then it would only serve as evidence of groupthink. Mr Lee’s remiss notwithstanding, his letter reminds that we have a responsibility towards ex-offenders. Of course, the needs of the few (in this case, ex-offenders) have to be weighed against the needs of the many (i.e. the public interests). To “err on the side of caution” is a valid policy, but its end result is zero tolerance and exclusion. It is a harsh society which allows the concerns and needs of the majority to hold full sway over those of the minority. Policies must serve society as a whole, not just a majority of - or worse, the more powerful in - society. Policies which serve the interests of the majority at the expense of the minority do not necessarily serve the greater good of society. Rather, the greater good is served when policies reflect the principles, ideals and aspirations which identify our society. Policies affecting ex-offenders should give expression to principles like forgiveness, those who make mistakes deserve a second chance and everyone matters. It is the responsibility of the privileged to care for the less privileged. When we take care of the lesser and least among us, we are a better society. And that is the greater good. On 19 November 2017, Prime Minister Lee Hsien Loong announced that the PAP Government is planning to increase taxes. His announcement fuelled wide speculation of an imminent hike in Goods and Services Tax (GST). GST is a tax on domestic consumption. The tax is paid when money is spent on goods or services, including imports. GST is not applicable for sales and leases of residential properties, importation and local supply of investment precious metals and most financial services. GST was first introduced in Singapore on 1 April 1994 at 3%. The GST rate was increased to 4% in 2003, to 5% in 2004 and to 7% in 2007. GST currently stands at 7%. On 29 November 2017, The Business Times reported: "The Goods and Services Tax (GST) is likely to be raised by two percentage points in the coming years as Singapore's spending needs continue to grow, according to DBS senior economist Irvin Seah." It is important to note that GST is considered to be a regressive tax. A regressive tax is one where the poor pay more tax, as a percentage of their income, than the rich. GST is a tax on consumption. Generally, poorer households spend a greater proportion of their income on consumption compared to higher income households. So, when tax is based on consumption, the poor would end up paying more tax, as a percentage of their income, than the rich. The fact that GST has remained the same since 2007 makes it the easiest target to hit in the hunt for additional revenue. If taxes must be raised, two types of taxes which impact richer Singaporeans more than poorer Singaporeans come immediately to mind. Capital Gains Tax (CGT) is a tax levied on the profits a person realizes when he sells his asset for a price that is higher than the original purchase price. There is no CGT in Singapore. The gains derived from the sale of a property in Singapore are not taxable. (Exception: when a person is deemed to be trading in properties, the gains from the sale of property in Singapore is considered taxable income.) Likewise, no tax is payable on profits derived from the buying and selling of shares or other financial instruments. Singapore has been a "No CGT" city for the longest time that I think "No CGT" has become a sacred cow - never to be slaughtered! Estate Duty (ED) is a tax on the total market value of a person's assets (cash and non-cash) at the date of the person's death. Beneficiaries will receive their share of the deceased's estate net of ED. The British introduced ED into our tax system. The rationale for ED is to prevent accumulation of wealth. The aim is to encourage asset-rich people to distribute their wealth during their lifetime in order to minimise ED. If you die a pauper, there will be no ED; if you leave behind millions to your loved ones upon your death, your estate will attract ED. While Singapore never had CGT, we had ED all while, until it was abolished in 2008. In 2008, Minister for Finance Mr Tharman Shanmugaratnam (MOF) informed Parliament that he had decided to remove ED for deaths on and after 15 February 2008. "Proponents of removing estate duty have therefore argued that removing it would encourage wealthy individuals from all over Asia to bring their assets into Singapore, thus supporting the growth of the wealth management industry. Ordinary Singaporeans have also argued that having worked, paid taxes on their income and property, and built up their savings, they want to be able to pass it on to their families. Some are in fact liable for estate duty when their estates receive large life insurance payouts." At the end of the day, the abolition of ED was not up for debate in Parliament. Rightly or wrongly, it was the prerogative of the MOF to decide whether to continue, modify or abolish ED. The MOF decided to do away with ED and it was so. When a person dies and leaves property to beneficiaries, the beneficiaries gain a windfall. The share of the deceased's estate comes to him as a gift. He did not have to work for the benefit. In comparison, earned income is taxable. For every dollar earned and worked (for which time was spent and effort made), a certain portion must go to the State (subject to applicable exemptions and allowances). So taxing earned income and taxing gifts have very different impact on a person. 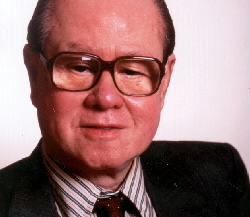 · Was the removal of ED applauded by asset-rich Singaporeans? · Is a “No ED” regime more beneficial to the rich? · Have Singaporeans on the whole benefitted from and continue to be better off, without ED? Interestingly, ED (if we have it) would only tend to affect a minority of Singaporeans i.e. the wealthy and beneficiaries of the wealthy. CGT (if we have it) would only affect those who have capital (money, assets) in the first place and make money from capital. Income tax is imposed on people who work and on companies which are profitable. GST affects all Singaporeans (whether you work or don’t), but impact poorer Singaporeans more. If the Government needs more money, we should consider whether the rationale for removing ED continues to apply and whether it would be beneficial to the collective interests of Singaporeans to bring ED back - or more pertinently, introduce an updated form of ED - in preference to increasing GST. 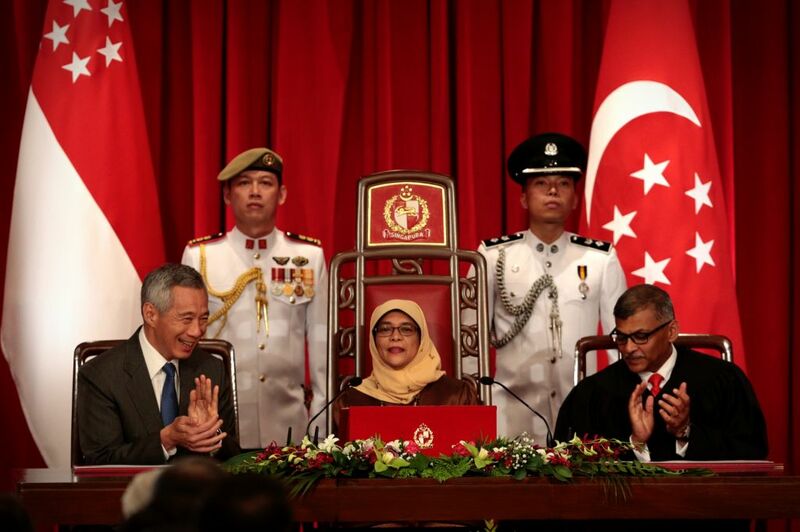 Flushed with political capital from a trouncing 70% mandate captured at the September 2015 General Elections, the PAP Government kicked off its 13th Parliament in January 2016 by announcing plans to make changes to Singapore's political system. Presumably to serve Singaporeans, but perhaps to serve the PAP's hegemony, the plans would include changes to the Elected Presidency (EP). Significantly, this would be only the second constitutional commission since Singapore's independence. The only other time we had a constitutional commission was on 12 August 1965, just three days after Singapore's independence, when Prime Minister Lee Kuan Yew sought Chief Justice Wee Chong Jin to convene a commission to recommend a Constitution for the new Republic. We now know that had that particular recommendation been adopted, Halimah Yacob who was Speaker of Parliament for 4.5 years (14 January 2013 to 7 August 2017) - would not have qualified. What the Government put up for Parliament to debate on was the Bill - the end result of the Government’s cherry-picking exercise. Is Li Shengwu above the Law? 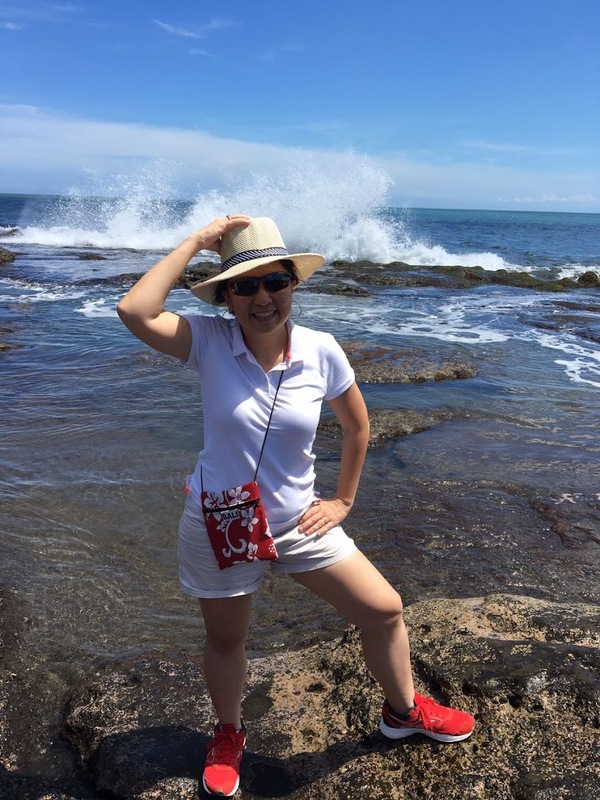 Jeannette Chong-Aruldoss is a practising lawyer who earned her law degree in the United Kingdom. She also holds a Masters Degree in Corporate & Commercial Law from the London School of Economics. Called to the Singapore Bar in 1989, Jeannette is currently a Partner of Eugene Thuraisingam LLP. Troubled by the lack of political diversity in Singapore, Jeannette entered politics in 2009. She challenged the incumbent at Mountbatten SMC twice, at the 2011 and 2015 General Elections. 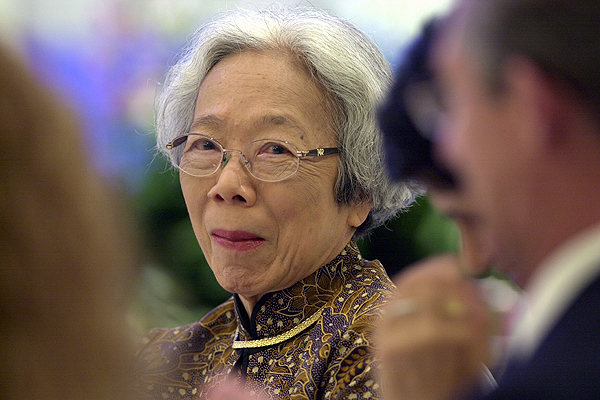 Although she did not win a seat in Parliament, her electoral experiences have given her invaluable insights into Singapore's political system. Jeannette is a member of the Singapore People's Party, a political party founded by Chiam See Tong who was a Member of Parliament from 1984 to 2011. On the personal front, Jeannette is happily married and a mother of four grown up children. She hopes to be a grandmother one day, hopefully soon. Jeannette Chong-Aruldoss. Simple theme. Powered by Blogger.